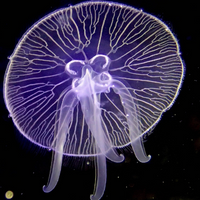 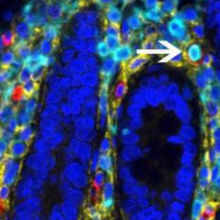 In Drosophila larvae, the formation of blood cells takes place in a specialized organ, the lymph gland. 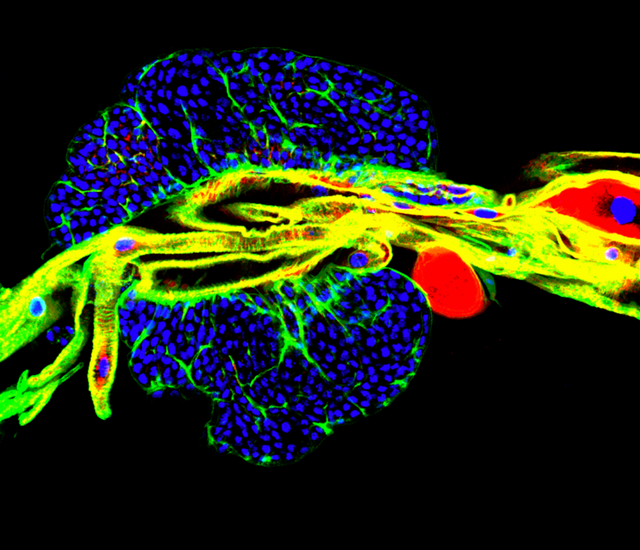 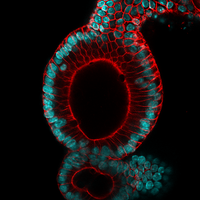 In Drosophila larvae, the production of blood largely takes place in a specialized organ known as the lymph gland (shown here). 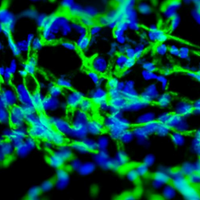 The extracellular matrix around the lymph gland has been stained green, the cells of the organ itself stained blue, and the structures that link to the extracellular matrix are in red.GUY TANENTZAPF / UNIVERSITY OF BRITISH COLUMBIASee R.J. Khadilkar et al., “Modulation of occluding junctions alters the hematopoietic niche to trigger immune activation,” eLife, doi:10.7554/eLife.28081, 2017.